Our inventory management system is a combination of various PC based computer systems and networks. The foundation of the system includes an early generation of SAGE™ Accounting Software, Microsoft™ Windows® Applications, FedEx ShipManager and UPS Worldship shipping Systems, FoxPro™ Relational Database Management Tools, and various Internet website protocols. The system has been utilized by WFS for almost twenty years and as new innovation and technology has become available, management at WFS has kept the system updated. The inventory management system is very reliable and has been proven over and over by satisfied client's such as Ticketmaster Entertainment (including such outstanding artist listed in no certain order such as Celine Dion, Neil Diamond, Dierks Bently, The Eagles, Keith Urban, Dolly Parton, Alicia Keys and others) as well as well known Fortune 500 corporations like GTE, Toshiba, Bridgestone/Firestone, The Danbury Mint, and Big Idea Marketing (Veggie Tales™). The inventory management system has also been utilized by various organizations and universities such as Vanderbilt University, The National Association of Religious Broadcasters, and Alive Hospice. WFS has also prepared market research sample pack outs, handled kit packaging, processed consumer returns, and caged consumer response information from business reply questionnaires. And most importantly, WFS has handled all of these functions while managing the client's inventory activity with great precision. In addition to the many non publisher clients that have utilized the system, over 500 publishers, small and large, have utilized the WFS Inventory Management System during the past twenty years to their complete satisfaction. The system tracks activity by item, provides detailed shipment records by item by customer and has been modified to track returns by item and customer. It even keeps up with individual salesman performance reports and author royalty reports. Shipments can be shipped in bulk for the benefit of the customer then broken out separately by individual publisher for inventory management, invoicing, accounts receivables management, returns processing and overall publisher by publisher accounting controls. √ Monitors all the file activity. 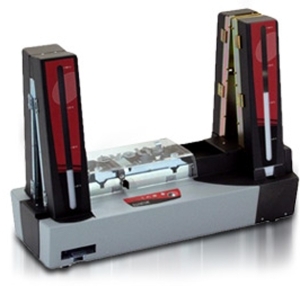 √ Captures orders that are not automated for input into the automated system. √ Releases the files to the warehouse production area when cleared. √ Traces the flow of the orders throughtout the process. √ Oversees special projects and detailed requirements. 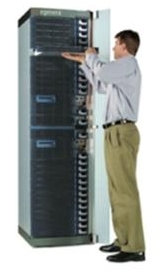 √ Troubleshoots any problems for remedial action and resolution. √ Provides management with suggestions for areas of improvement. √ Produces the activity reporting to be supplied to the client. that are then sent to the fulfillment area for collation, manifesting and mailing. Tracking numbers are captured and sent back to the main IT system and mail server so the client and/or customer can be sent an email notification that the package has been shipped. During the manifesting and order closing process the inventory, customer and transaction files are updated to bring the system up to date in real time with every order processed. After picking the orders they are either moved to the manual packaging stations or the automated packaging and manifesting area for process verification and manifesting. WFS utilizes various vendors for standard packaging but the primary packaging solution utilized by WFS is a state-of- the-art system produced in conjunction with The Shanklin Equipment Corporation and the producers of Jiffy Pak®; the system is a Sealed Air® Priority Pak Packaging. This is cutting edge technology with only a handful of these systems installed across the country. 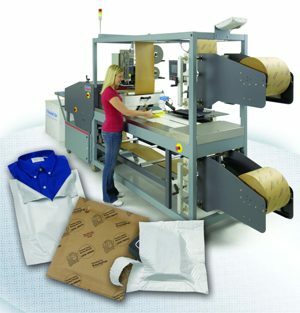 The system basically creates a Jiffy Pak® created on the packaging line that is shaped and formed around the item being shipped as the parcel is being manifested and labeled for shipment. The benefits are better protection during transit, tighter controls on shipment process verification, lighter packaging thus lower shipping costs, and no requirement for packing peanuts or paper stuffing. The parcel arrives in perfect condition and the shipping cost is generally less expensive. 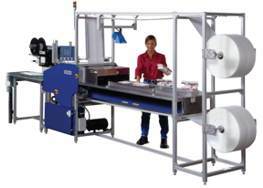 WFS shrink wrapping and kit bundling systems are in place that can be utilized for special product finishing requirements, as well. WFS has been packaging product for ove twenty years. Some projects have involved as many as 200,000 packages (prepared, shrink wrapped and mailed) per week. WFS is ready to handle your packaging needs. WFS nutilizes high speed shrink wrap machines to provide its clients with top quality shrink wrapping at speeds that enable WFS to be very competitive on shrink wrap packaging. WFS can also handle smaller manual projects if that is needed. WFS can customize a solution that will fit your requirements. WFS no longer has to manually track the carrier options -- whether it's a truckload of goods or a single package WFS has the right options to select from. Carrier Accounting - WFS tracks shipping and mailing costs across the enterprise, with our integrated accounting capabilities. The Pitney Bowes™ System provides WFS with the technology that handles our primary mailroom shipping needs, from comparing rates and checking residential code status to preparing labels, tracking packages and auditing delivery times. WFS handles production shipping needs by supporting small package shipping, with delivery options for FedEx, UPS and USPS, Less-Than-Truckload (LTL) - including 200 of the most common carriers, Truckload (TL) and Hazardous Material shipping. It gives us all the information we need to make the best shipping choice based on your business needs. 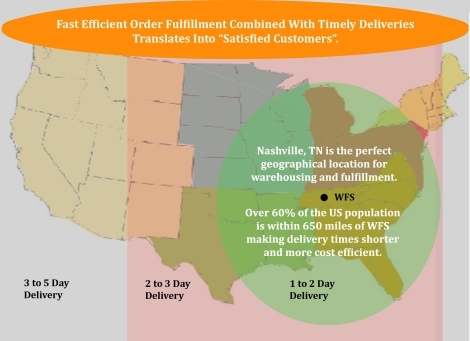 • WFS can establish shipping rules by package size and weight or recipient, or let one of our experienced staff members choose based on other factors. • WFS can look up rates with more than 200 of the most common LTL carriers or use specialty carriers with custom rules and rates, allowing WFS to handle all your carriers through a single system. • WFS can automate the completion of documents required to ship materials needing such documentation - especially international shipping. WFS has over twenty years of experience working with the fine package carriers as shown below and has been a leader in working out innovative shipping solutions utilizing their expertise and technology in conjunction with WFS's internal systems and controls. WFS, because of its shipping volume, is granted deep discounts on shipping rates with most of the freight carriers utilized by WFS. The following logos reflect the carriers most used by WFS. The benefit to our clients is lower cost for freight provided by some of the best LTL carriers in the shipping industry. WFS produces high-quality personalized Membership Cards and ID Badges for a wide range of applications. If you need Membership Cards, ID Badges, Photo ID Cards, Proximity Access Cards, Employee ID Cards, School ID Cards, Government ID Cards, Specialty Cards, Luggage Tags or Plastic Stick-On ID Labels, WFS can produce them fast and at a price you can afford. Regardless if it is text, logos, photos and barcodes with an outstanding quality, either on single or dual-sided plastic cards, with or without magnetic stripes, contact and contactless cards WFS can deliver the card production you need. WFS can create a complete new web site with or without a shopping cart to meet your Internet business requirements and while we have staff programmers on site, we are also affiliated with a number of free lance web developers both domestically and internationally that can build a wide range of Web Site applications, from the simplest to very complex applications. Should you already have your web site but need WFS to supply a shopping cart that is custom designed to look like it was created as a part of your site originally, WFS can add this functionality to your existing site. As a part of the WFS E-commerce solution, WFS has established merchant account relationships and can provide these services to you thereby making your entry into the E-Commerce world easy and reliable. The WFS solution combines the merchant account set up and handling with the WFS internal inventory and shipping system, thereby automating the entire E-commerce solution. This translates into faster more efficient and lower cost E-commerce support for you and your customers. Currently the WFS merchant account affiliations include the following online solutions for credit card merchant account sales.